Come Kick-It with us, breakfast style. 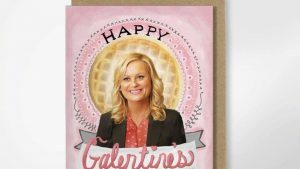 Join us for an early Galentine’s Day on February 9th, with Lizzie, your Leslie Knope for the day. We will start with an hour of heart and hip opening flow yoga. Followed by a waffle bar, mimosa fountain, and brunch hour to gab about all the great things we can do for self care that isn’t a lame bath bomb. Every gal/or pal because maybe a dude is your bestie, goes home with a swag bag, filled with fun Peacocky self care samples. We will have a few local vendors sharing wares, too. “We need to remember what’s important in life: friends, waffles, work. Or waffles, friends, work. Doesn’t matter, but work is third.” (Or fourth, because really yoga should be ahead of work). FINE PRINT Tickets are non-refundable. Buy purchasing you agree to our terms and conditions and acknowledge that you are of legal drinking age. If you are buying tickets for others, please make sure to do so under their name.